Manchester United have this morning confirmed the appointment of Ole Gunnar Solskjaer on a permanent basis. Having joined his old club on an interim basis following the departure of Jose Mourinho in December, the former striker has enjoyed a successful stint in the Old Trafford dug out, winning 10 of his 13 league games at the helm, losing just once. United also pulled off the unthinkable in February when they overcame a two goal deficit to beat Paris Saint-Germain in the Champions League, setting themselves up for a huge tie against Barcelona in the quarter-finals of the competition next month. The 46-year-old was expected to return to his previous club Molde at the end of the current season, however after his exploits has now been rewarded with a brand new three-year deal. The Red Devils have reportedly paid Molde a fee in the region of £8 million to secure Solskjaer's services. "This is the job that I always dreamed of doing and I'm beyond excited to have the chance to lead the club long term," said Solskjaer. Having spent 11 seasons at Old Trafford as a player, Solskjaer was dubbed 'The baby-faced assassin' by United fans, renowned for coming off the substitutes bench to score vital goals for the club when they required him most. His most famous goal came in the 1999 Champions League final against Bayern Munich, when he tapped home from close range in the last minute of the match to complete an unlikely comeback for Sir Alex Ferguson's youngsters in Barcelona. 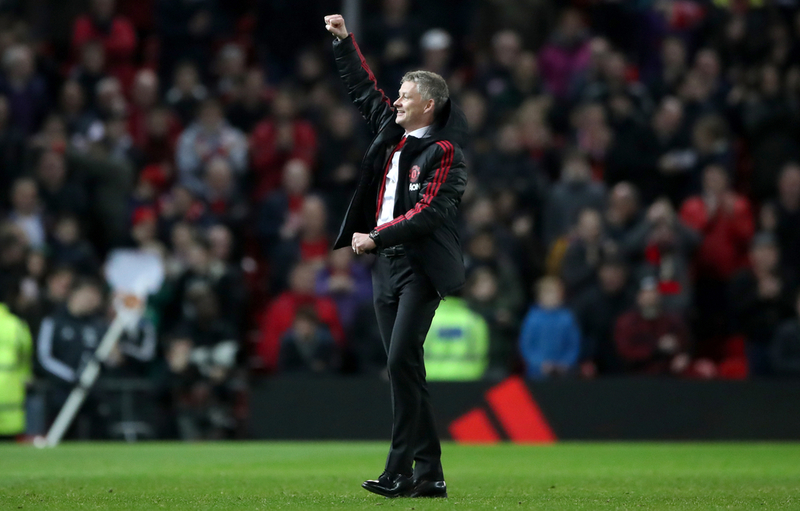 Solskjaer surpassed Sir Matt Busby's record when he won his first six league matches in charge of United and has single handedly brought the feel good factor back to United, after a bleak period for the club under previous managers Louis van Gaal and Jose Mourinho. "Since coming in as caretaker manager in December, the results Ole has delivered speak for themselves.